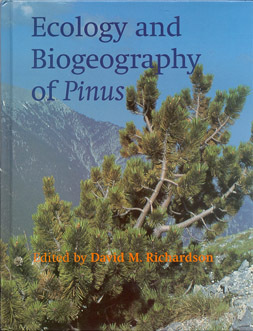 This volume is dedicated to the memory of William Burke Critchfield (1923-1989) and Nicholas Tiho Mirov (1893-1980), whose dedication to thorough studies on various aspects of pines greatly improved our knowledge of this remarkable genus. Their influence lives on in this book. Pinus is a remarkable genus of trees with a very large distribution range in the northern hemisphere. Where they occur, pines usually form the dominant vegetation cover and are extremely important components of ecosystems. They also provide a wide range of products for human use. In many cases exploitation and other human pressures are threatening the survival of natural pine forests, although pines are also now widely grown in commercial plantations, both within and outside their natural ranges. 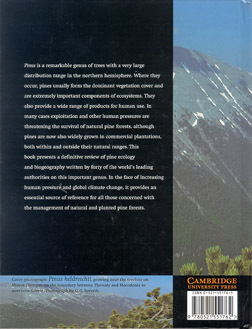 This book presents a definitive review of pine ecology and biogeography written by forty of the world's leading authorities on this improtant genus. In the face of increasing human pressure and global climate change, it provides an essential source of reference for all those concerned with the management of natural and planted pine forests.